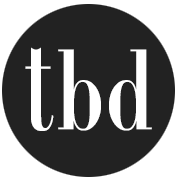 One of the strongest design trends over the past couple of years has been metallics, and gold is back in a big way. Glam and glittery, it adds elegance and a modern vibe all at the same time, updating a tired space without changing the color scheme. 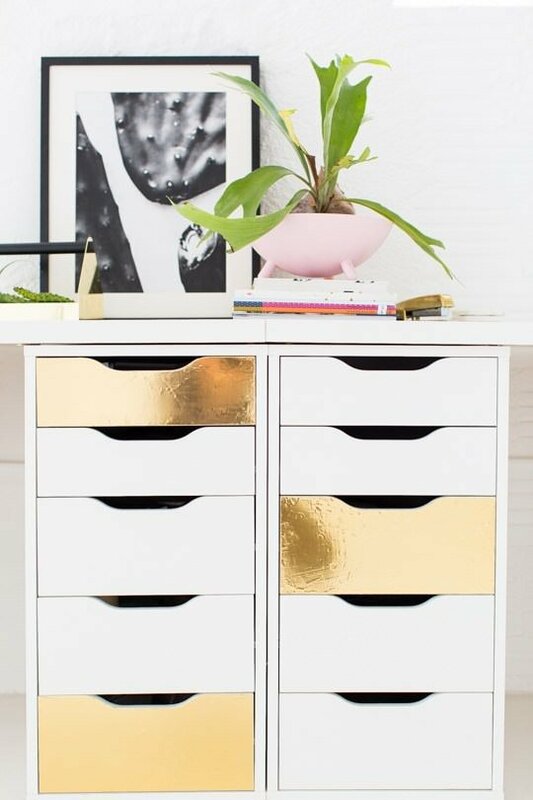 Whether you want big drama or just a touch of sparkle, there is a gold DIY decor project that will add an element of glam to any (or all!) 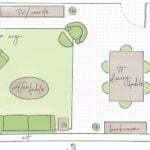 of your rooms! 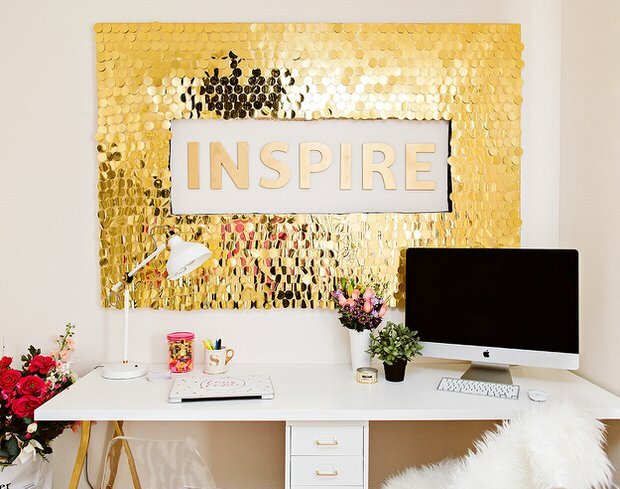 I love this DIY sequins wall art from ‘Classy Clutter. This one really adds the sparkle and catches your attention with a glittery glam thing that cannot be denied! Pay attention to their tip on spray painting the background board. I think it makes a huge difference in making the sequins “pop”. This DIY boom art wall sculpture is inspired by Dwell Studio, and makes the $200 (for one!) price for the original look ridiculous when you can make this yourself! From ‘Make+Haus’, this tutorial will show you how to create this look with inexpensive bamboo skewers and styrofoam balls. I think our powder room could use this exact project! 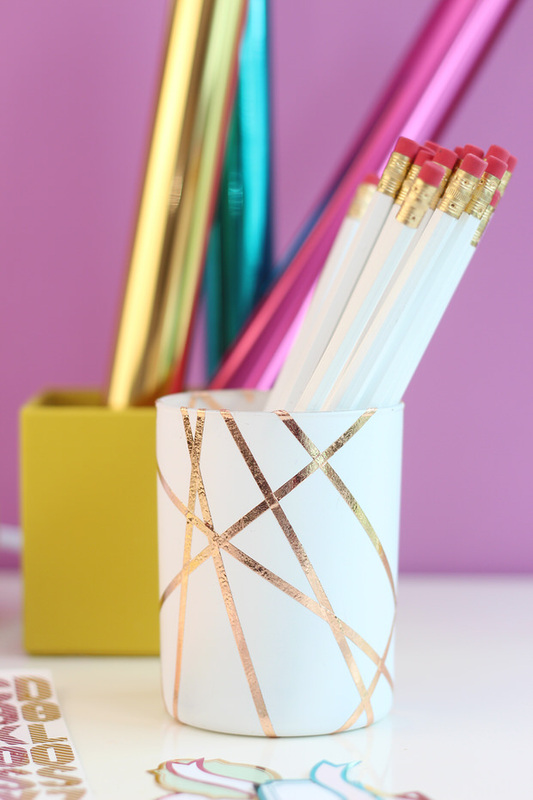 This DIY rose gold foiled pencil cup is going on my office desk. For real. Rose gold (my fav kind of gold!) has a slightly feminine sparkle I simply can’t resist, and then you add the textural metallic look of the foil? Yes. From ‘Damask Love’, this project is easy, fast and makes a great accessory that looks like it’s from a high end boutique. Love! 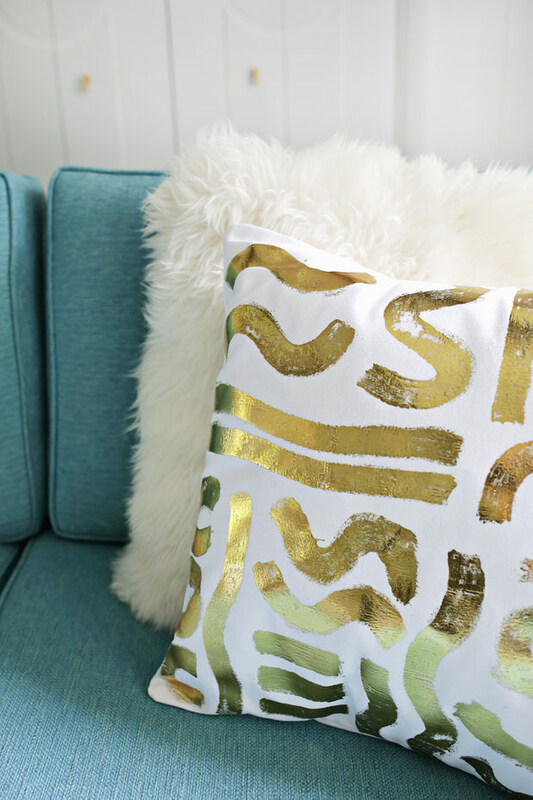 From Laura at ‘A Beautiful Mess’, this gold foil pillow DIY tutorial is just what your sofa needs to wake up the ho-hum attitude it’s been giving you. You don’t have to be an artist to do this either! 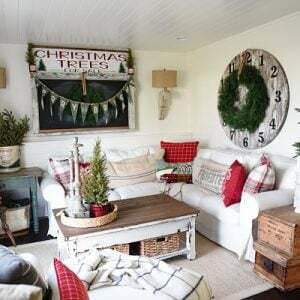 Check out this tutorial from ‘Fall for DIY’. 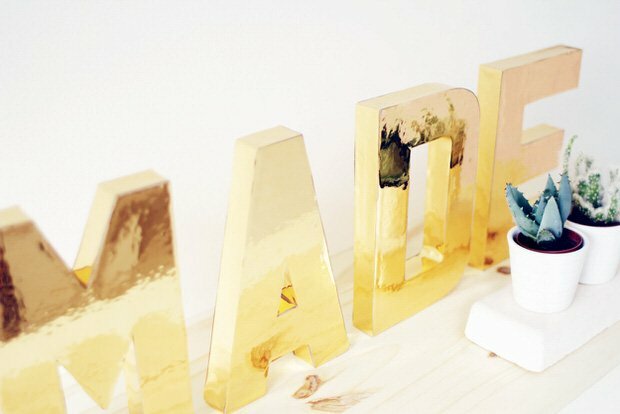 These DIY solid gold letters are not really solid gold, but they look like it! 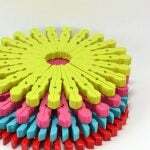 Easy and an inexpensive project! 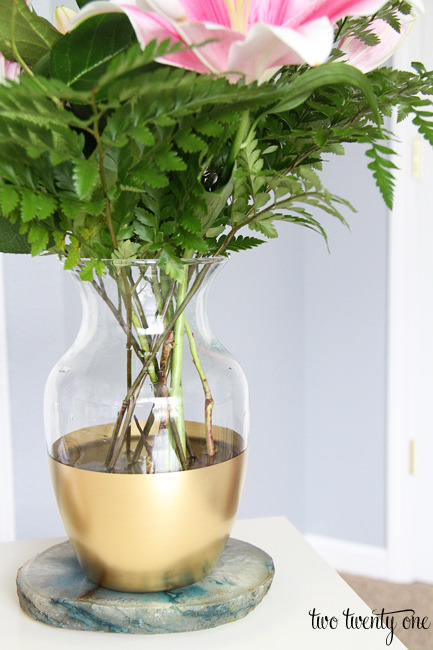 This is a fun tutorial that will add a touch of gold to your room in just a couple of hours! 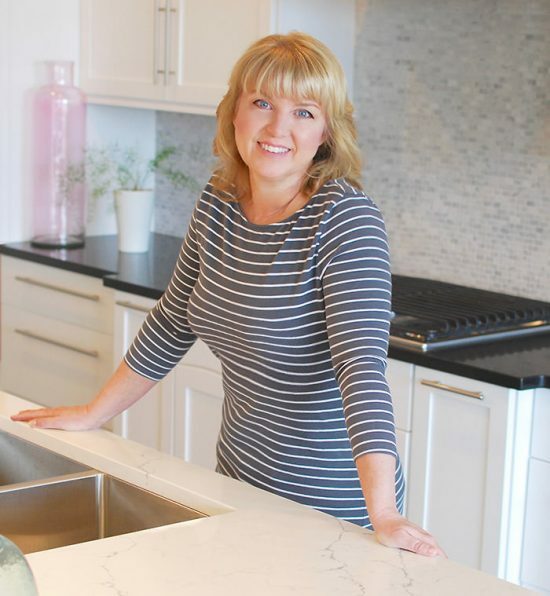 These DIY drawer fronts from ‘Sugar and Cloth’ make this piece of furniture look classy and elegant, but combining it with white makes it contemporary and not stuffy. Another project with gold foil, I think I may have to make a run to the craft store. Ok. You can get vases at the dollar store. Seriously. 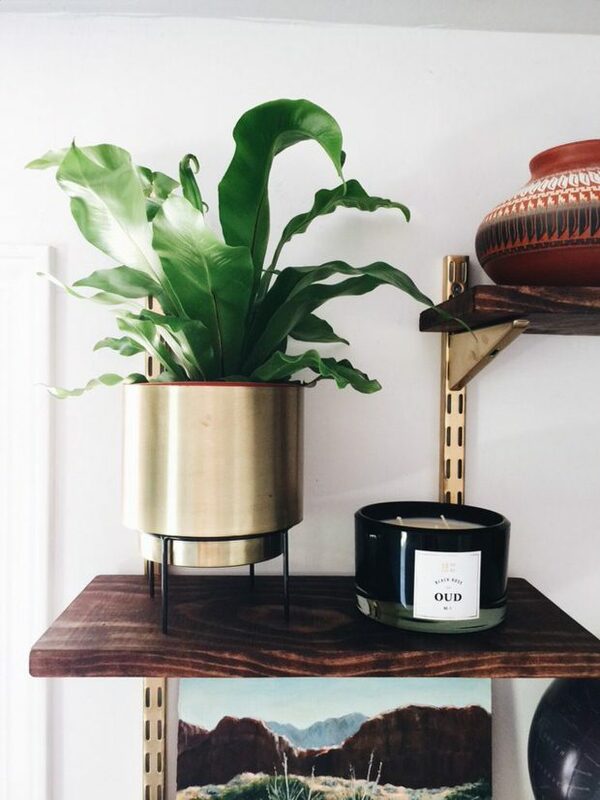 So this DIY gold dipped vase from Chelsea at ‘Two Twenty One’ makes perfect sense. A can of spray paint, some tape, and a vase. (Which you might already even have.) Easiest (and cheapest!) 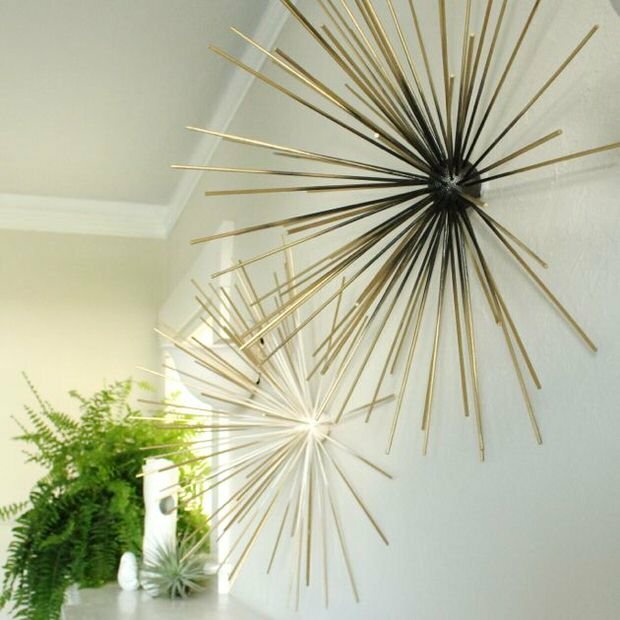 touch of gold DIY decor glam ever! 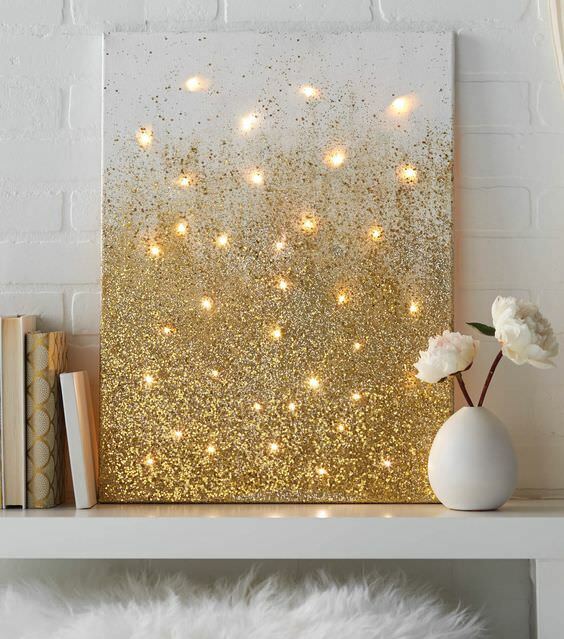 This glitter and lights canvas project from ‘Joann Crafts’ makes a perfect statement on a mantel or a wall, thanks to the battery operated LED lights! From Mary Lauren at ‘Headed Somewhere‘, our last idea for you is this DIY mid century shelving unit. She added the glam by painting the upright wall hardware gold, then staining the shelves dark. She also added some gold accessories on the shelves to tie it all together. Such a pretty look! Goes to show you how gold can brighten up any room, any project! Go gold! How to Make a DIY Halloween Graveyard! Wooow, some really great ideas! I love all things gold so this is right up my alley.